New Destiny hub, new public events, and new ways to trigger the Heroic (read: expanded version) phase of them. On Destiny 2: Forsaken's Tangled Shore you'll come across public events in wide open areas with Fallen prisoners, and the way to go Heroic isn't quite so obvious. What you need to do is blow up each smoking vent on the pod that plops down, then grab the orbs that come out of them. Throw the orbs at the boss, then rinse and repeat. Eventually you'll "capture" the named enemy and the heroic condition will automatically begin. 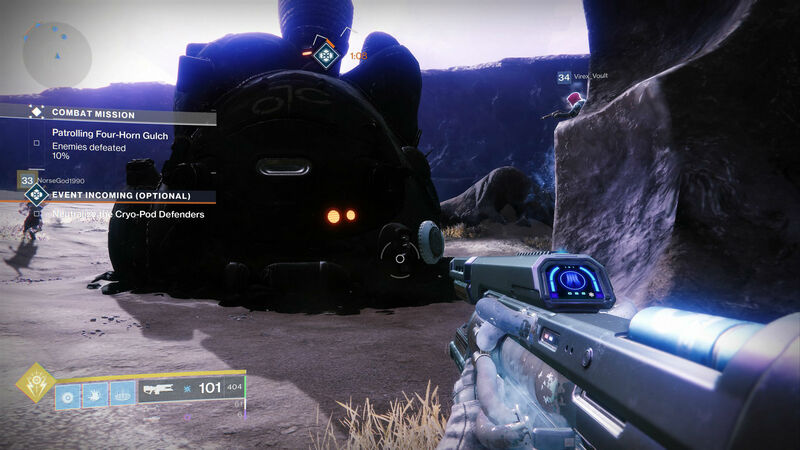 Stand inside the ring near the enemy (like the Glimmer defense public events) until the capture meter goes to 100, and you're all good. A lot of people don't know how to do this yet so they might be focus-firing the boss before the orbs go out: just try your best.